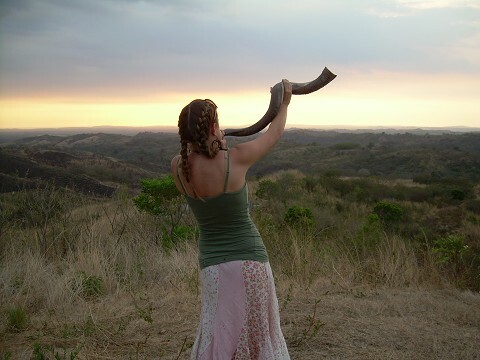 Rosh HaShannah 5772: "A Loving Call"
"May the words of our lips be pleasing to You, God, who listens, discerns, considers, and attends to the sound of our shofar blast. Lovingly accept our offering..."
God "listens, discerns, considers, and attends to the sound of our shofar blast"? This vision is of a God who needs, listens, and loves, a God Who is not content to be Alone. The very title Melech/King, used throughout Yamim Nora'im points to this as well. We do not believe in a gendered definition of God (nor do we deal particularly well with authority) but this title implies relationship, for what is a ruler without subjects? And we wish it to be this way, which is why we plead "May the words of our lips be pleasing... lovingly accept our offering." As Rabbi Abraham Joshua Heschelz"l taught, "Judaism shows it to be a need to be needed by God." Our communities call each of us to stretch and support their vulnerable futures. Our country is struggling to emerge from a contraction that affects many, many citizens. The State of Israel is enduring an unparalleled moment of uncertainty. The world is aching for a better year. I believe each of these calls us to lovingly offer what we can, to "avert the severity of the decree" through introspection and repentance, learning and Tzedakah - to commit our hands to the aspirational dreams our hearts express. The shofar is jolt to the human soul, but it is also a piercing cry to God, who "attends" and "lovingly accepts" that which we offer. With every word, spoken and unspoken, may we bring our deepest dreams just a bit closer to reality. The world is about to begin again. Thank God. May this be a healthy, safe, year for you and those you love. May it be a good year for our community, for Israel, and for the entire world. The Conservative Yeshiva is pleased to bring you this E-Shiur, "Zohar on the Holidays of Tishrei" by Dr. Shaiya Rothberg. The E-shiur can be downloaded in pdf and printed out, for your convenience. The sources in the original (Hebrew and Aramaic) with translation into English can be downloaded here. We hope this E-Shiur contributes to your High Holiday learning! On behalf of all at the Conservative Yeshiva, we wish you Shana Tova. I believe Tevi Troy's "The White House's Advice for Your Rabbi" (Sept. 23) was inaccurate. Rabbis have not been pressured to talk politics from the pulpit by the White House during the upcoming Holiday season. Jewish tradition teaches Jews to "Pray for the welfare of the government, without which people would tear each other apart." It isn't political to talk about the needs of our society, which has been the thrust of the White House's message. We must be engaged in our country's welfare. It is a Jewish communal obligation as well as a central obligation of citizenship. Have you been wishing to have an Aliyah, read Torah, and understand Shabbat morning services but don't yet have the confidence or skills? In this brand new Adult class we will share the wisdom of "Amitim," the CNS Bar/Bat Mitzvah program! This will be a wonderful way to gain (or brush-up on) synagogue skills, practice basic Hebrew prayer, learn how to craft a Drasha, and more! Every class will begin at 7:30 with a "How-to" component, a 10 minute break, and then a chance for guided discussion on a range of related Jewish topics. Participants will have the option of celebrating an Adult Bat or Bar Mitzvah, either as a group or as individuals, with support from Rabbi Creditor and Rabbi Bochner. No Hebrew knowledge necessary, just a passionate, curious soul! All proceeds support Tzedakkah projects at Congregation Netivot Shalom. 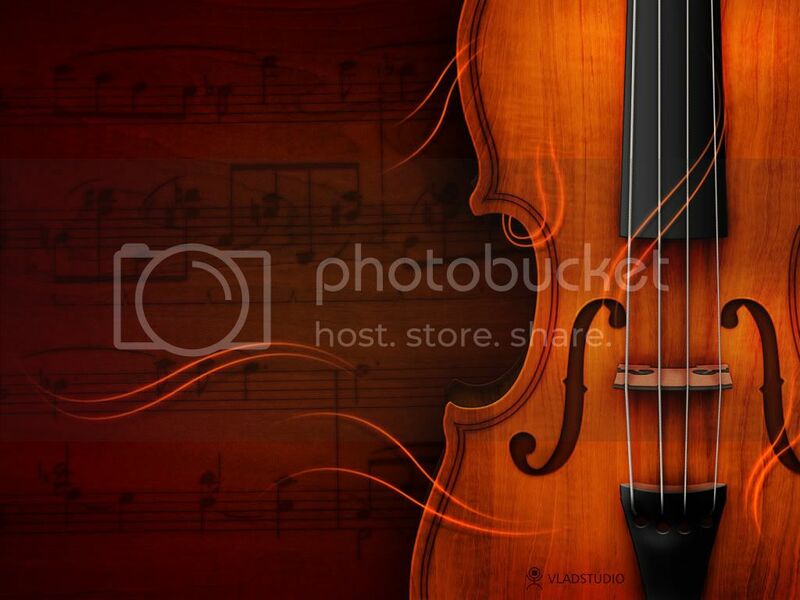 "Free" or "Inspired by Violin"
flying free, as God intended. deep within, where spirit flows. coursing through to set you free. Dr. Alex Sinclair in JPost: "Israel engagement is Israel’s responsibility too"
Dr. Alex Sinclair is the Director of Programs in Israel Education for the Jewish Theological Seminary. He directs Kesher Hadash, the semester-in- Israel program of JTS's Davidson School of Education. Most Israel engagement programs are rooted in one core underlying assumption: that American Jewish identity and life are in some way incomplete without, or at the very least can be enriched by, a relationship with Israel and Israelis. According to this assumption, the problem of Israel engagement is located entirely within the American Jewish context, and it is there that the worldwide Jewish community's efforts must be directed in order to fix the problem. American Jews are brought to Israel in order to be inspired and become connected; Israelis are sent to the United States in order to educate and inspire young Americans at summer camps; and educational researchers probe the extent to which Americans do or don't feel connected to Israel. I certainly agree – wholeheartedly! – that engagement with Israel and Israelis has the potential to enrich American Jewish identity. However, that's only half the story, and our exclusive focus on that single assumption explains much of the malaise in Israel engagement, and in the relationship between American Jewry and Israel. The other half of the story is that the responsibility for Israel engagement lies not only with American Jewry, but also with Israeli Jewry. Let me highlight the problem with the following vignette. A senior Israeli academic recently bemoaned to me the disconnect between American Jews and Israel. "Why do you think American Jews don't feel connected to Israel?," she asked me. "Is it their lack of Jewish education, the fact that they don't speak Hebrew, they prefer to assimilate and be American, not Jewish... why don't they want to have a relationship with this country?" At no point in the conversation did she pause to wonder if perhaps Israel played some part in the disconnect. There was no soul-searching along the lines of "what is it about us that has led them to disconnect?" In this professor's eyes, the problem of Israel engagement was entirely an American issue. Her attitude is not unique – it is shared by most of those who educate, research and write about Israel engagement. The singlelocation assumption is one of the main reasons that rabbinical, cantorial and education students who spend extended periods of time in Israel often end up feeling ambivalent toward it. They are expected to buy into this assumption, and to go back to the US and "sell Israel" to their communities, whose members are not engaging with Israel as much as they "should be." But while they are here, they experience moments of disconnection, and the single-location approach offers no conceptual foundation for integrating that disconnect into their approach to Israel engagement. EVEN THE best recent thinking about Israel engagement does not go far enough. The felicitous phrase "hugging and wrestling," coined by my colleague Robbie Gringras, still assumes that the primary location of the problem is with American Jews, and how they relate to Israel. The notion of hugging and wrestling has been an important contribution to the field; but now we need to go further, and broaden the horizons of what we mean by Israel engagement in the first place. Israel engagement must change from being a single-location problem to being a dual-location problem. We need to develop a second core assumption in Israel engagement: it's not only American Jews' responsibility that they don't relate to Israel; it's also Israel's responsibility. Note the "not only... also" construction: this position is not a denial of the problematic elements of American Jewish identity and education, nor of the responsibility of the American Jewish community to do more to inspire its congregants to take on Jewish rituals, learn Jewish texts, speak Hebrew and explore Israeli culture. This position's new claim is, though, that Israel engagement must also be rooted in the consideration of Israel's part in the disconnect. There are at least three major areas of Israeli identity, society and culture that play their part in the disconnect between Israel and American Jews: egalitarianism, universalism and meaning- oriented Judaism. Firstly, Israeli Judaism is much less egalitarian than American Judaism, and that causes many liberal American Jews, especially, ironically, the more committed ones, to feel disconnected from Israel. Until now, Israel engagement, rooted as it is in the single-location approach, has had no response to this problem. Our responses are usually limited to having American Jews try to just accept that Israel is a more traditional society, and brush aside their egalitarian commitments. Instead, the Israel engagement agenda needs to turn to Israelis, and open the conversation about Jewish egalitarianism. This doesn't mean that Israelis need to change, and here American Jews may need to lower their expectations: Israeli Judaism, for all kinds of reasons, is not going to suddenly change. But Israelis do have to understand just how core the principle of egalitarianism is to the current generation of young American Jewish leaders, and just how much Israelis' dismissal of Jewish egalitarianism is not just a slap in the face, but a blow to the soul. Israeli society needs a process of political and social education that will advocate respect for women rabbis, genuine and open curiosity about egalitarian Judaism, and a willingness to seek compromises for American Jews in a variety of Jewish religious sites. I AM under no illusions about the enormous barriers to these processes of political and social education in both the secular and religious communities. Nevertheless, anyone concerned with Jewish peoplehood and Israel engagement must put American Jews and Israelis in conversation together in order to raise these issues. This is the innovation that is offered by seeing Israel engagement as a duallocation issue: the egalitarian issue, rather than being gently side-stepped, or embarrassingly swept under the table, instead becomes a front-and-center component of activities and programs. The second area of disconnect between American Jews and Israeli society is universalism. Some commentators argue that American Judaism has swung too far in a universalist direction. Others claim that Israeli Judaism has swung too far towards particularism, nationalism and tribalism. The dual-location approach sees the problem as two-fold: both an overlyuniversalist American Jewishness and an overly- tribalist Israeli Jewishness. Israel engagement that flows out of the dual-location approach will ask both groups, in conversation together, to reflect critically about each community's place on this spectrum. Thirdly, liberal American Jews are used to seeing Judaism as a source of spiritual, existential, or cultural meaning. Now, to be sure, this is a double-edged sword. For every committed Jew whose life is invested in meaning through engagement with Judaism, there is another (or more) who drifts from Jewish engagement because "I don't find it personally meaningful." In Israel, Judaism is less often seen as a source of personal meaning; observant Israeli Jews tend to observe Jewish law for other theological and sociological reasons, and, while there has in the past decade been an awakening of various Jewish renewal movements amongst so-called secular Jews, there is still a long way to go. Israelis can learn a lot from American Jews about meaning-oriented Judaism; and American Jews can be enriched by such a conversation too, especially by Israelis' insistence that personal meaning can be achieved along with, and through, commitment to the Jewish collective. These three issues – egalitarianism, universalism and meaning-oriented Judaism – are just the tip of the iceberg. There are many other important conversations to be had between Israelis and American Jews. Israeli and American Jewish educational and communal leaders must re-imagine Israel engagement so that it pushes American Jews and Israelis together, each asking how they might enrich, and be enriched by, the other. A dual-location approach, in which each side may "influence and be influenced," may yet help us figure out the Israel engagement puzzle, and reduce the disconnect – in both directions – between young American Jewish leaders and Israel. One delegate to the San Francisco Conference that led to the creation of United Nations put it well – "Many people," she said, "have talked as if all we had to do to get peace was…to say loudly and frequently that we loved peace and hated war. Now we have learned that no matter how much we love peace and hate war, we cannot avoid having war brought upon us if there are convulsions in other parts of the world." At the end of this year, America's military operation in Iraq will be over. We will have a normal relationship with a sovereign nation that is a member of the community of nations. That equal partnership will be strengthened by our support for Iraq – for its government and Security Forces; for its people and their aspirations. Yes, this has been a difficult decade. But today, we stand at a crossroads of history with the chance to move decisively in the direction of peace. To do so, we must return to the wisdom of those who created this institution. 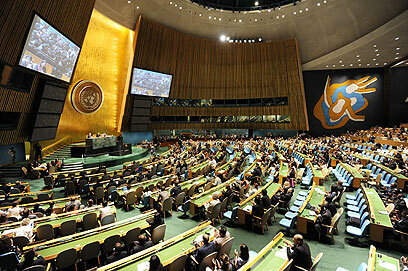 The UN's Founding Charter calls upon us, "to unite our strength to maintain international peace and security." And Article 1 of this General Assembly's Universal Declaration of Human Rights reminds us that, "All human beings are born free and equal in dignity and rights.' Those bedrock beliefs – in the responsibility of states, and the rights of men and women – must be our guide. So it has been a remarkable year. The Qadhafi regime is over. Gbagbo, Ben Ali, and Mubarak are no longer in power. Osama bin Laden is gone, and the idea that change could only come through violence has been buried with him. Something is happening in our world. The way things have been is not the way they will be. The humiliating grip of corruption and tyranny is being pried open. Technology is putting power in the hands of the people. The youth are delivering a powerful rebuke to dictatorship, and rejecting the lie that some races, religions and ethnicities do not desire democracy. The promise written down on paper – "all human beings are born free and equal in dignity and rights" – is closer at hand. In Iran, we have seen a government that refuses to recognize the rights of its own people. And as we meet here today, men, women and children are being tortured, detained and murdered by the Syrian regime. Thousands have been killed, many during the holy time of Ramadan. Thousands more have poured across Syria's borders. The Syrian people have shown dignity and courage in their pursuit of justice – protesting peacefully, standing silently in the streets, dying for the same values that this institution is supposed to stand for. The question for us is clear: Will we stand with the Syrian people, or with their oppressors? Already, the United States has imposed strong sanctions on Syria's leaders. We have supported a transfer of power that is responsive to the Syrian people. Many of our allies have joined us in this effort. But for the sake of Syria – and the peace and security of the world – we must speak with one voice. There is no excuse for inaction. Now is the time for the United Nations Security Council to sanction the Syrian regime, and to stand with the Syrian people. I know that many are frustrated by the lack of progress. So am I. But the question isn't the goal we seek – the question is how to reach it. And I am convinced that there is no short cut to the end of a conflict that has endured for decades. Peace will not come through statements and resolutions at the UN – if it were that easy, it would have been accomplished by now. Ultimately, it is Israelis and Palestinians who must live side by side. Ultimately, it is Israelis and Palestinians – not us – who must reach agreement on the issues that divide them: on borders and security; on refugees and Jerusalem. That truth – that each side has legitimate aspirations – is what makes peace so hard. And the deadlock will only be broken when each side learns to stand in each other's shoes. That's what we should be encouraging. This body – founded, as it was, out of the ashes of war and genocide; dedicated, as it is, to the dignity of every person – must recognize the reality that is lived by both the Palestinians and the Israelis. The measure of our actions must always be whether they advance the right of Israeli and Palestinian children to live in peace and security, with dignity and opportunity. We will only succeed in that effort if we can encourage the parties to sit down together, to listen to each other, and to understand each other's hopes and fears. That is the project to which America is committed. And that is what the United Nations should be focused on in the weeks and months to come. To stop disease that spreads across borders, we must strengthen our systems of public health. We will continue the fight against HIV/AIDS, tuberculosis and malaria. We will focus on the health of mothers and children. And we must come together to prevent, detect, and fight every kind of biological danger – whether it is a pandemic like H1N1, a terrorist threat, or a treatable disease. This week, America signed an agreement with the World Health Organization to affirm our commitment to meet this challenge. Today, I urge all nations to join us in meeting the WHO's goal of making sure all nations have core capacities to address public health emergencies in place by 2012. That is what our commitment to the health of our people demands. and my heart begins to shake. shivering in awe at its call. at Netivot Shalom for babies, toddlers, parents and caregivers! We'll meet on Wednesdays for stories, songs, parachutes, parenting discussions, and more! Please register with Lauren at (510) 549-9447 x110 or preschool@netivotshalom.org. Local photographer, Bryan Schwartz documented the global Jewish community in his exhibit, Scattered Among the Nations, which opens Sept. 18 at Temple Sinai. Scattered Among the Nations challenges the stereotypes of what Jews look like. Scattered Among the Nations View a magnificent photo exhibit of Jews around the globe. Opening night with speaker & photographer, Bryan Schwartz. Sept. 18 at 5pm in Oakland. Call for details. WASHINGTON - The Palestinian Liberation Organization's Ambassador to the US Maen Areikat said Wednesday that any future Palestinian state must be free of Jews. Speaking to reporters in the US he said, "After the experience of the last 44 years of military occupation and all the conflict and friction, I think it would be in the best interest of the two people to be separated." Areikat made the statements after being asked about the rights of minorities in a future Palestinian state, USA Today reported. He declared that the PLO seeks a secular state, but that Palestinians need separation to work on their own national identity. Later Wednesday, Palestinian Minister of Religious Affairs Mahmoud al-Habash dismissed Areikat's statements, saying that the Palestinian state is to welcome members of all faiths. He asserted that any media attempts to manipulate anti-Jewish statements are politically motivated. He added that the Palestinian Authority and its ambassador to Washington have a clear stance on the matter. Minister of Diplomacy and Diaspora Affairs Yuli Edelstein also responded to Areikat's remarks. "After an unending de-legitimization campaign and attempts to brand Israel an apartheid state, it appears it is the Palestinians who seek apartheid. He said the statements are reminiscent of Nazi slogans. "His comments conjure up Judenrein motifs. I wonder if Areikat's remark that both peoples must live separately means that one million Arab-Israelis are not part of his people." Areikat's comments caused a stir among Jewish leaders. Elliott Abrams, a former US National Security Council official, said in response that according to such plans, Palestine will be the first to officially prohibit Jews or any other faith since Nazi Germany, which sought a country that was judenrein, or cleansed of Jews. Abrams described the demand as "a despicable form of anti-Semitism" adding that a small Jewish presence in a future Palestinian state would not hurt the Palestinian identity. The UN's General Assembly is scheduled to address the Palestinian bid for recognition next week, with Israel, the US and several European states strongly opposing it. The Palestinians are slated to win an overwhelming majority at the Assembly as it is controlled by Arab and Muslim states. Nevertheless, any such resolution would not have practical significance and in order to be accepted as a full member in the UN the PA will need Security Council endorsement. Meanwhile, Jordan's foreign minister said Wednesday his country supports a Palestinian drive for recognition at the UN but prefers negotiations toward creation of a Palestinian state. Foreign Minister Nasser Judeh told reporters that Jordan supports the Palestinian campaign, but it should take into account the rights of Palestinian refugees, the fate of Jerusalem and the borders of a future Palestinian state. He said the "best way" to attain statehood is through "direct negotiations." Meanwhile, a high-level US team kicked off a new round of shuttle diplomacy on Wednesday in a last-ditch effort to contain the diplomatic fallout from the Palestinian statehood push, but the odds of a breakthrough appeared slim as the Palestinians pledged to go ahead with mass rallies to draw world attention to their bid. US diplomats Dennis Ross and David Hale arrived late Wednesday for talks with Prime Minister Benjamin Netanyahu and Defense Minister Ehud Barak. They were to travel to the West Bank on Thursday to talk with Palestinian President Mahmoud Abbas. No breakthrough has thus been achieved. In addition to the US efforts, the European Union's foreign policy chief, Catherine Ashton, and special international Mideast envoy Tony Blair have been meeting with the sides this week. US officials said Secretary of State Hillary Rodham Clinton has been in touch with both Ashton and Blair in recent days. 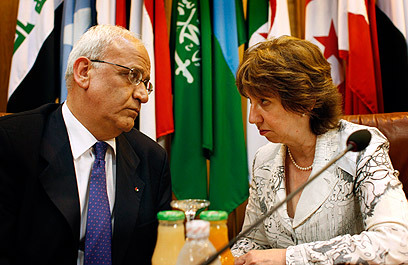 Barak urged Ashton to prevent the Palestinians from tabling a resolution proposal. Ashton is proposing a three-part plan: Grating the Palestinians UN observer status similar to that of the Vatican, issuing a Quartet statement accounting both the Israeli and the Palestinian needs, and a UN chief pledge the put forward a recognition resolution in the future. Germany is opposed to Ashton's plan which has not won European consensus. The US, on its part, wants the plan to be presented to allow each side to voice its reservations. Both Israel and the Palestinians oppose the plan. Why does Judaism have denominations, and what do these branches add to the Jewish story? This week, in "The Value of Denominations in Judaism," I join the lively conversation that continues to take place on the JTS blog with a look at the way Judaism and our religious communities have evolved. The Conservative Judaism blog is a place where Jews can share their experiences and discuss their beliefs on a variety of topics. Read the essay and let me know what you think. You can also review the responses to my essay by Julie Schonfeld and Adam Roffman. I am a rabbi of a Jewish congregation in Berkeley, and I can only imagine the many, many letters, let alone the social media blitz that has attacked MOCHA for the decision to cancel the exhibit featuring children's art from Gaza. I wish to offer my support, and the support of my community, and our gratitude for your decision. I have experienced great hatred aimed at many kinds of people since arriving in the Bay Area 5 years ago, and was proud that, just this past Sunday, my Jewish community stood and prayed with our Turkish Muslim friends at the Pacifica Institute for the health of American and the world. I am a rabbi who prays for a Palestinian State to emerge safely, someday soon. I am so sorry for the inundation you must be dealing with. It should alert us all to the highly politicized campaigns being wielded surrounding Israel/Palestine. I am here to assist you to engage and share the conversation, should you ask. Save the Dates for Upcoming Speakers!